We need your help at the event on June 18, 2016. Also looking for a few good people to join the planning committees. 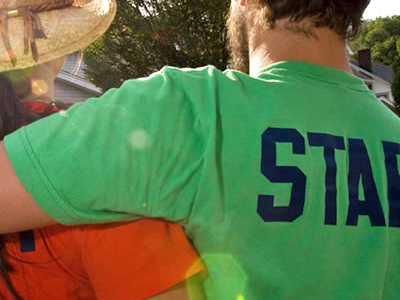 Support the arts in this community and help keep PorchFest FREE. Always looking for good talent. 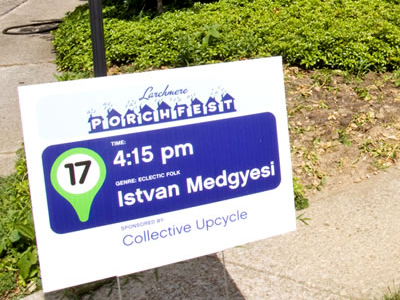 Get involved and volunteer at PorchFest on June 15, 2019. Or even join the planning committee. (Looks great on your resume!) Follow along on Facebook, Twitter, Instagram, Flickr and Snapchat for more. Please support our sponsors which keep PorchFest FREE for everyone. The Modern Ruins playing the after party at Felice. Everyone! 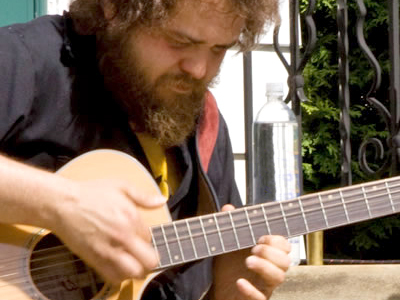 PorchFest is a family-friendly event featuring musicians from a wide variety of genres. You'll be "camping out" in neighborhood front lawns for 30-40 minutes at a time, so bring chairs or a blanket to sit on. If you want to see as many bands as possible, a bike is a great idea. Larchmere Blvd. and Shaker Square have many restaurants to choose from. Vendors may be around for additional food options. You're welcome to bring a cooler, but please pick up any trash you may create. Be sure to pick up a printed schedule / map for the day, buy t-shirts and learn about the neighborhood at the Info Tent on the corner of E 127th Street and Larchmere. Restroom available here. 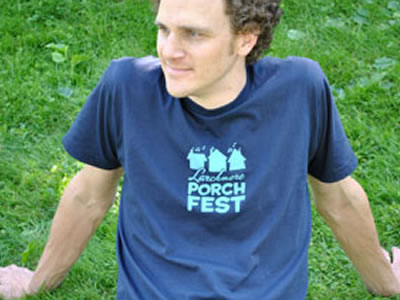 Larchmere Porchfest is a nonprofit organization and donations are tax deductible.